Iowa is a friendly state for knife ownership laws. Only ballistic knives are banned here otherwise all kind of knives are legal to own. But there are some restrictions while carrying knives concealed. Although, you can carry openly any knives you want. According to Iowa knife laws, as it is mentioned at the beginning, all knives are legal to own here except the “ballistic knives”. The code 720.1 says about the ballistic knives’ illegality. So, owning and carrying open or concealed a spring-operated, elastic material, or compressed gas-based ballistic knife is banned in Iowa. 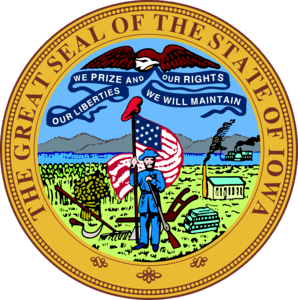 It is illegal to conceal carry any dangerous weapons/knives in Iowa. Dangerous weapon or knife means when an instrument is designed to harm anybody or even for use in inflicting death. If any instrument is designed that somebody is intended to harm or kill other people, those are also considered as the dangerous weapons. *Except for the use of hunting or other legal purposes. Dangerous weapons include dagger, razor, stiletto, switchblade knife, knife having a blade exceeding five inches in length etc. According to Iowa knife laws, dangerous weapons are mentioned in code 702.7. “A “dangerous weapon” is any instrument or device designed primarily for use in inflicting death or injury upon a human being or animal, and which is capable of inflicting death upon a human being when used in the manner for which it was designed, except a bow and arrow when possessed and used for hunting or any other lawful purpose. Additionally, any instrument or device of any sort whatsoever which is actually used in such a manner as to indicate that the defendant intends to inflict death or serious injury upon the other, and which, when so used, is capable of inflicting death upon a human being, is a dangerous weapon. *According to Iowa knife laws, carrying these knives mentioned above will be an aggravated misdemeanor. And if a person uses one of these dangerous knives to attempt any crime, also commits an aggravated misdemeanor. *If a person conceals a dangerous knife and do not use it in any crime but the length of the knife exceeds eight inches, commits an aggravated misdemeanor. And if the knife length exceeds five inches but not more than eight inches, commits a serious misdemeanor. The code 724.4 says about the concealed carry laws in details. “1. Except as otherwise provided in this section, a person who goes armed with a dangerous weapon concealed on or about the person, or who, within the limits of any city, goes armed with a pistol or revolver, or any loaded firearm of any kind, whether concealed or not, or who knowingly carries or transports in a vehicle with a pistol or revolver, commits an aggravated misdemeanor. A person who goes armed with a knife concealed on or about the person, if the person uses the knife in the commission of a crime commits an aggravated misdemeanor. (a). If the knife has a blade exceeding eight inches in length, commits an aggravated misdemeanor. When can one carry concealed dangerous weapons/knives? When an armed person carries a dangerous weapon in his own place or business place. A peace officer on his/her duties. A member of the armed forces on his/her duties in particular places and other particular places. A correctional officer on his duties. A law enforcement officer while carrying dangerous weapons from one place to another on behalf of their duties. If anyone is in the business of transporting prisoners from one state to another and for this, he is contracted with the Iowa Department of Corrections or similar authority. The code 724.4 says thoroughly about it. (a). A person who goes armed with a dangerous weapon in the person’s own dwelling or place of business, or on land owned or possessed by the person. (b). A peace officer, when the officer’s duties require the person to carry such weapons. (c). A member of the armed forces of the United States or of the national guard or person in the service of the United States, when the weapons are carried in connection with the person’s duties as such. …(g). A person while the person is lawfully engaged in target practice on a range designed for that purpose or while actually engaged in lawful hunting. A person should have the license or permit to carry a dangerous knife. The code 724.4 explains it thoroughly. All schools or educational institutions are the knife free zone in Iowa. No dangerous weapons/knives are allowed in the school premises. The code 724.4A says it all. When switchblades, daggers, stilettos type dangerous knives are legal to own and even carry openly, these knives become illegal if they are carried concealed. Blade sizes become the matter of fact then too. 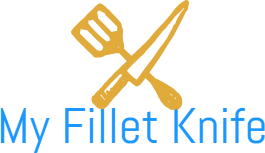 The ballistic knife is the only one banned knife here and overall there are no restrictions on knife ownership rather those are very friendly.